The only ambiguity here is what exactly I’m shooting at… pixelated vampire Hitler? I’m not using that term quite right, but you’ll get it in a minute. For those of you lacking the patience to plow through what’s certain to be a long post, feel free to skim and comment: Name some instances in which you appreciated shades of gray in a game’s plot or worldview. Let’s dive right in. I think the most important distinguishing feature of video games is the immersion of the player into the narrative. You, personally, are participating in the unraveling story, not sitting at a comfortable remove as a passive observer. The First Person Shooter (FPS) genre has an easier time achieving this than others for obvious reasons, and the home of the FPS is undoubtedly the personal computer, emerging with Wolfenstein 3D in 1992 and solidifying with Doom in 1993 (it took a full four more years before a console would produce a truly worthy counterpart with GoldenEye in 1997). The proverbial tip of the iceberg. Now, nobody’s trying to avoid the honest truth here — games like Wolf and Doom were conceptual and technical successes only. Their plots can be summarized roughly by a mere handful of words: “Get weapons. Shoot [insert appropriate undesirables here]. Repeat.” (The only ambiguity I see here is what exactly I’m shooting at… pixelated vampire-Hitler?) But with their undeniable popularity, these proto-shooters gave rise to a genre that has blossomed into a powerful vehicle for complex narratives. 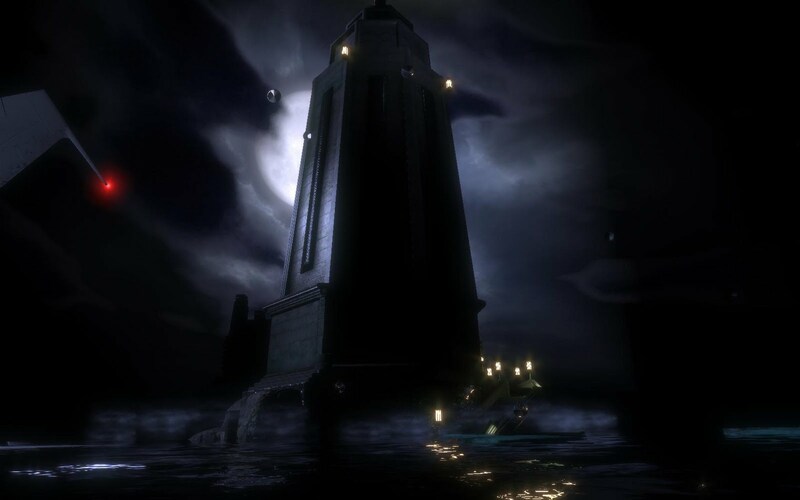 Much as Rapture’s lighthouse represents but a narrow portal into the depths of its underwater city, gamers have come to expect not only an entertaining variety of gameplay dynamics in their first-person shooters, but also a wealth of story and character that they experience through that gameplay. An FPS is possibly the easiest way to get a visceral thrill out of your gaming — see Omaha Beach in Medal of Honor: Allied Assault or the darkened, demon-infested Mars-base of Doom 3 — and these are fun and valuable experiences. Lord knows I love to stay up into the wee hours of the night with the lights off and the volume up and scare myself witless with some Doom 3 or Dead Space. But these are still largely reactions you can get from popping in Saving Private Ryan or any (in)decent horror flick. What I want to talk about in this entry are the responses that I think gaming has a unique opportunity to effect. Enter Deus Ex, which I regard as the magnum opus of the modern cyberpunk-thriller genre. Read my review here, or skim the Wikipedia article for more info. 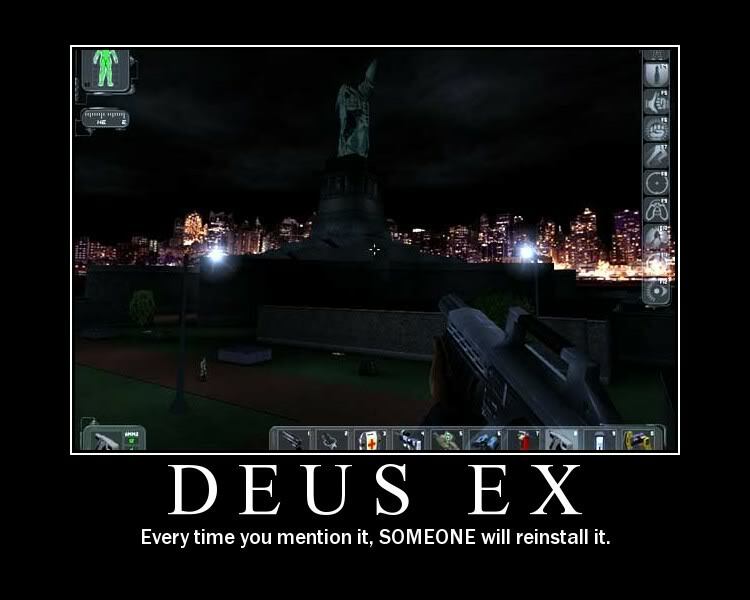 Dark, serious, and solidly based upon real-world politics and theoretical sciences, Deus Ex extrapolates logically upon current social climates and technological development (circa 2000) to a future overrun by parasitic, corporate capitalism (that’s not too far-fetched for you, is it?) and troubled by increasingly questionable uses of bioengineering and genetic modification. The player character represents the synthesis of those two motives, a superhuman created by a “cabal of technophiles” to defend national interests against various “terrorist” groups (noteworthy is the fact that national and corporate interests are essentially equivalent in this context). Your job throughout the game is, in the simplest terms, akin to peeling an onion — an onion whose every layer is another conspiracy of global portent. Ok. Are you still reading? Then you probably realize that a set of problems this massive and complex simply cannot be satisfactorily solved unless you’ve got a big red “S” stuck to your chest. The key word is “satisfactorily.” There are solutions available to you at the end of the game (three, in fact), but none of them are anything but problematic, much less offer you a sure road to human salvation and the obligatory victory cutscene. The brilliance of Deus Ex is that though you are, more or less, a superhero, you cannot save the world. All your extraordinary abilities win you is the chance to get yourself all good and invested in the outcome of the plot only to arrive at a tie between three equally dubious choices. 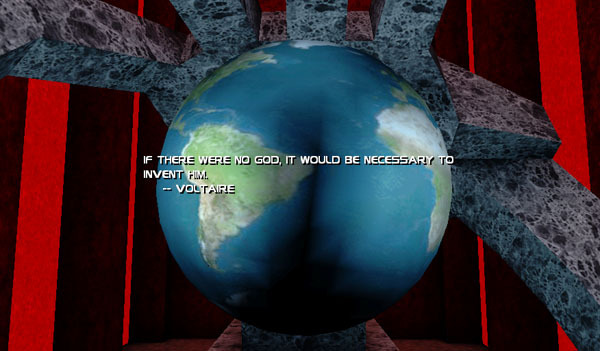 One of the three endings quotes Voltaire. Can you name another game that quotes Voltaire? Many games offer the player options; a (sometimes paralyzing) degree of control over your character serves as a supporting pillar of basically every RPG in existence, and several other franchises have also capitalized on player choice as the impetus of plot development (see the Star Wars Jedi Knight series), but these choices are largely relegated to very black and white, good vs. evil situations (do I wantonly slice that hapless bystander with my lightsaber, or… not?). Deus Ex is one of a relatively small contingent of games to thoughtfully, persistently delve into moral territory so grey as to be virtually impossible to navigate. There are no right choices in Deus Ex, only choices. Of course, we shouldn’t praise moral ambiguity simply for its own sake; if we did, we might just as easily prefer characters like, say, the Joker to come out on top instead of Batman, at which point… what’s the point? But the complexity of Deus Ex provokes a kind of reasoning that is really only just beginning to be utilized in gaming: ethics. To keep the superhero thread running, who’s really going to boo Superman for saving a bus-load of children from toppling off a bridge? He’s a stand-up guy, no doubt about it, and that kind of simplicity can be satisfying, too. My favorite novel, The Lord of the Rings, features one of the clearest notions of right and wrong ever put on paper. Clarity is definitely a good thing. 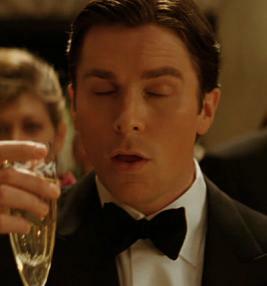 But consider, in contrast, the conclusion of a film like The Dark Knight, with Batman accused of multiple homicide. It’s certainly not the ideal outcome, but the way the characters deal with it says a lot more about them than a knee-jerk reaction to the tired “rescue X from Y” trope ever could. In Deus Ex, it is the player who must react effectively to an unyielding, unforgiving environment, and I think the process of that reaction unlocks not just an exploratory gaming experience, but a self-exploratory one. Isn’t that exactly what “art,” however we define that almost totally useless term, is supposed to provoke? Explorations like that are vital to our media because they require us to examine and sometimes redefine the beliefs and the values with which we approach the world; they’re especially vital to our video games because they continue to prove that this medium can make worthwhile contributions to modern culture. I digress. Next time, I’ll dive into Rapture in search of a little thing called “cultural relevance.” Sounds thrilling, doesn’t it? I know. I’ve had Django Reinhardt’s “La Mer” on repeat for days in anticipation. (Just for clarity, that’s repeat in my head. I apparently can’t make it stop.) So, readers — what other games haunt you with their moral complexity? Any I absolutely can’t afford to miss? And yes, I’m already working on Fallout 3.